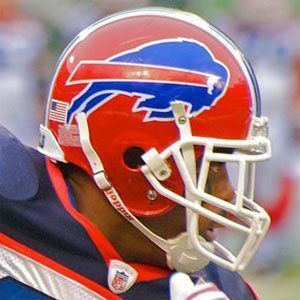 Running back who was the NFL all purpose yards leader with the Buffalo Bills in 2006. He was the United Indoor Football co-MVP before beginning his NFL career. He was a Consensus All-American selection during his seniors season at Coe College. He made NFL history by becoming the first player to have over 1,000 rushing and kick return yards. He married Danielle Jackson in 2006. He has children named Brady, Tate and Lucy. He suffered a season-ending injury in 2010, which led to running back CJ Spiller taking over the starting role.